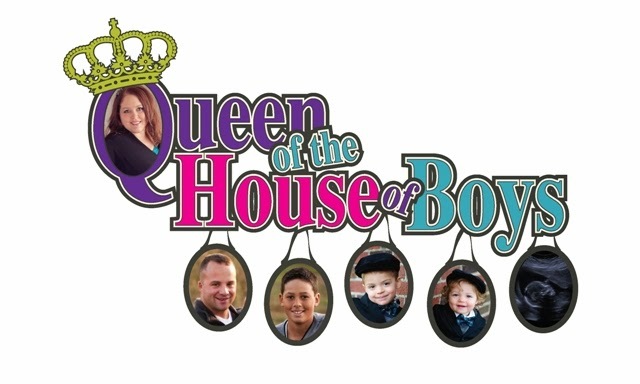 Queen of the House of Boys: TMI ??? YES!!! I HAVE to! It is a matter of health or death? I am about to reveal to you how much I weigh. I know, I know...us women are never suppose to reveal that brutal number to anyone unless we are 110 pounds...right? Well...I have to keep myself accountable somehow, and this is the only way I can think to do it without spending $50,000,000 dollars. I, like many, have tried and failed many a diet plan. Starting clear back in junior high. My mom took me weekly to a dietician at the doctor's office. I have never been a skinny person. I have always thought of myself as too large. I look back at the pictures now and realize..DANG! If only I had loved myself back then....because at times, I was not as bad as I thought I was. Here is a little weight history over the last 13 years. When I graduated high school I was approximately 145 pounds. I thought this was HUGE! I went to college, gained my freshman 15 right away thanks to drinking and lots of midnight snacks. This brings me to about 160 pounds. I became pregnant two and a half months into college. I gained 29 pounds this pregnancy. This brings me to 189 pounds when I went into deliver my son (who is now 11). Somehow towards 2002 I started gaining more then losing. teetering around the 200 pound mark. I didn't really weigh myself often, and I don't really remember much about my weight back then. In 2004 I remember right before James and I started dating that I weighed myself and it was the first time I had ever seen this number...an ALARMING 220 pounds! Yikes! Well, over the course of the 4 months that we dated until we got married, I floated through the days of being in love, not eating because I was up talking on the phone with James until the wee hours of the morning, not eating much when we were together because of course I didn't want to grose him out. I stopped drinking and smoking cold turkey after our first date. I became a solid Christian during this time. I was being filled spiritually. I was tithing faithfully for the first time ever. I was preparing for our wedding. Somehow I lost 20 pounds just like that! Snap..it was done! I was back down to 200. Well...then we got married....got comfortable...we enjoyed cooking meals together filled with flavor and new things...I slowly started to gain the weight back. I teetered anywhere from 210 to to 220 for the course of the next 4-1/2 years. During these 4-1/2 years there were many many diet plans. There was the Dr. Phil diet. I lost 35 pounds on that one. I can remember getting down to 188 at one point. Then I started getting really sick, adult onset asthma induced by allergies. Those next 2 years I endured 3 or 4 ER visits, a 4 day hospital stay and lots and lots of medications including prednisone. Which anyone who has been on that knows it make you REALLY hungry! The diet went out the window. The Dr. Phil diet was a fun one though. We followed the plan to a T! We had to get up literally at 5:00 AM every day to start preparing the food in the recipes, and we spent A LOT of money on groceries! Then came the LA Weightloss diet. I started out this one back at the 220 mark. I managed to lose 25 to 30 pound on this as well. I was following it to a T, drinking my 64 oz of water daily and get this...I got up at 5:00 AM every day and went and worked out for at least an hour and a half each morning at the YMCA. I don't know how I did this...but I did. Things were going great! UNTIL....my foot started hurting more and more each day. Hurt to walk at all. Went to the foot doctor and was told, Plantar Fasciitis. We tried taping my foot, excercises, several things. Ultimately resulting in surgery. Of course this halted all excercise. I became discouraged and halted my diet as well. I did pretty crappy the next few years up and down the rollercoaster I went. It seemed that 220 was my favorite number because it was always what I came back to. I delivered him on October 22nd. At my two week check up appointment I was back down to 222!! Yes! seriously! I lost 46 pounds in 2 weeks! I got pretty cocky! I thought, wow...what they say about breastfeeding and losing weight easily is true! I kept that weight off for a few weeks. I slowly started creeping towards 230. I was a new mom, no time to excercise. No DESIRE to go out of the house! No desire to cook! Over the course of this last year, I have managed to get myself back up to 244 pounds...yep, right now I weigh 244 pounds. I got my membership to Anytime Fitness back in August and had only used it twice until this week. I signed up for a 20 pounds in 20 days challenge. When you commit to the challenge you commit to working out for 20 days solid. I'm in. I HAVE to do this! I want desperately to keep up with my family. There are things we don't do because I hold the family back. If I don't stop, they are all going to move on without me while I sit here and eat chips and ice cream blowing up. I am not doing any certain "diet" for food. I am not using this word. I am not getting all focused on terms and plans. I am simply taking what I have learned from my years of diet training...ahem...or diet practicing (I should be a nutrionist by now) and putting them into effect. I know how to eat right. I know what my portion sizes should be. I know wrong from right. It's just a matter of doing it. So, here I go...official day 1 of the 20 day fitness challenge (yesterday I worked out but it was a testing day and training...I am still sore...but not as much as I probably will be tomorrow). On day .5 I weighed in at 243.8. I plan to update this post daily with my progress. *Updated 11/03/09~Today was scheduled "Intense Workout" day. I did 5 minute warm-up on the eliptical, lower body strength with weights, and 3 miles on the recumbant bike (The regular bike hurts my behind...and the recumbant bike is suppose to be better for me knees) Felt pretty good overall. Stairs are already a slow process for me due to soreness. ;o) But it feels good! *Updated 11/04/09~Today was scheduled "Intense Workout" day. I did 5 minute warm-up on the treadmill, Upper body strength training on the weight machines, and 2 miles on the eliptical machine. The warm-up was good, the upper body lifting was probably a level 6 on a scale of 1 to 10, 10 being hard (by hard I mean ouch!). The eliptical...um that was a different story today. Because I did lower body training yesterday my legs were already like jello. I was really really ready to give up at mile .75. I started thinking in my mind and calculating...ok...if I quit at 1 mile, then I could go do 1.5 miles on the recumbant bike. I kept pushing through. I sweat like crazy today and at one point thought of just laying on the floor and dying! However, I put my mean "get out of my way" face on and persevered. Completed 2 miles. The entire workout today took me 1 hour and 15 minutes. I did a post this morning titled "Peeling the layers". Can't wait to get more layers off! *Updated 11/05/09~Today was scheudled "Low impact" workout day. Says to do 30 minutes of low impact like cardio. I did 5.25 miles in 30 minutes on the recumbant bike. I think I will have to try the regular stationary bike next time because the seat on the recumbant is really hurting my tailbone. I still sweat like crazy. I read, played on the internet on my phone, and watched TV while working out. It was a good day. I am a little concerned that I keep having hot-flashes today. Been taking my temp throughout the day and it teeters between 99.5 and 100. I don't feel sick at all, no other symptoms, just hot. hmmm... I REFUSE to get sick! Refuse! *Updated 11/07/09~Well, the words "I REFUSE to get sick"...didn't work out very well. I spent Thursday evening and all of Friday teetering between 99.8 to 101.6 fever. Had a headache and very draggy. No other symptoms. Thank GOD! I contemplated all day Friday on whether I should go work out or not. On one hand, I wanted to persevere. On the other hand I didn't want to pass out. I also didn't want to be responsible for infecting others with all of this H1N1 crud going rampid. So Thursday & Friday I went to bed at 7:00 PM and took naps both days. I still ate very healthy and drank lots of water. I got up bright and early this morning at 5:45 to my little 1 year old alarm clock. I felt great! Still a little leary of taking it too fast. I did go workout. I just picked up where I left off. It was my scheduled "intense workout" day. I did 5 minute warm-up on the treadmill, lower body strength training on the weigh machines, and then 3 miles in 15 minutes on the regular stationary bike. I sweat like crazy, but felt great by the time I was done. I LOVE how I feel for getting up and going! *Updated 11/09/09~Didn't work out on Sunday due to poor time management on my part. It is true that once you have missed one workout, it is easy to miss more. On Saturday evening I went to a wedding reception. I did well on my portions, I skipped the cake, skipped the unlimited Tropical Sno Cones that were served. However, there is so much to say for fixing your OWN food. The mashed potatoes were obviously doused in butter, garlic, salt. The steamed veggies were bathed in butter, the pork was topped off with a heafty amount of salt and pepper. Dessert for me was the roll with butter that I had! Other than this dinner, I have been doing amazingly welly with my food. Even when I didn't excercise, I have been not steering away from healthy eating. ~I did go workout Monday night. Didn't get out until about 8:30. Started my warmup at Wal-Mart walking around for 45 minutes, then went to the gym. Had a good workout. Did upper body strength training and then 4.5 miles on the regular stationary bike. *Updated 11/10/09~Today was suppose to be low impact day, but because I missed on Sunday I decided to go full throttle. I did 1 mile on the treadmill. (Remember the recommended workout is either 1 mile intense on treadmill or 2 miles on eliptical, or 3 miles on the bike) This is the first time I chose the treadmill. AND I daringly ran for a whopping 30 seconds. Ummmm..my lungs still hurt. But wasn't too bad. Also did lower body strength training today on the weight machines. You are brave, my friend! I'm excited for you though, it's a new beginning and YOU CAN DO IT! I'm feeling the same urgency to lose weight right now. In fact, I'm hoping to buy a gym membership this week. The pounds just aren't coming off as easily with the 3rd baby as with the 1st and 2nd. I'm powerfully counteracting the nursing calories burned with junk eaten! Yep, it's true! Looking forward to following your journey, Janelle and hoping I'll be inspired along the way. Best of luck Janelle!! You are a very strong person. I started a workout program last Jan. 25. I have worked out every single day since then. I don't even now how many anymore. Getting close to a year. I lost about 25 pounds and although I'm still working out I'm gaining it back. It's frustrating!! I know I eat more than I should but you're right. I know what to do it's just a matter of doing it. I'm excited to see your progress and you will motivate many along the way by your honesty!! Thanks for sharing!! Maybe today will be the day that I decide to "do it" with my eating portion of my life. Good luck!!! I am so proud of you and in the spirit of weight loss I think I might start working out and eating healthier again. I have been a yo- yo dieter in the past!!! thank you for your encouraging words . I bet the hot flashes are just your body saying what the "heck" is happening!!! !